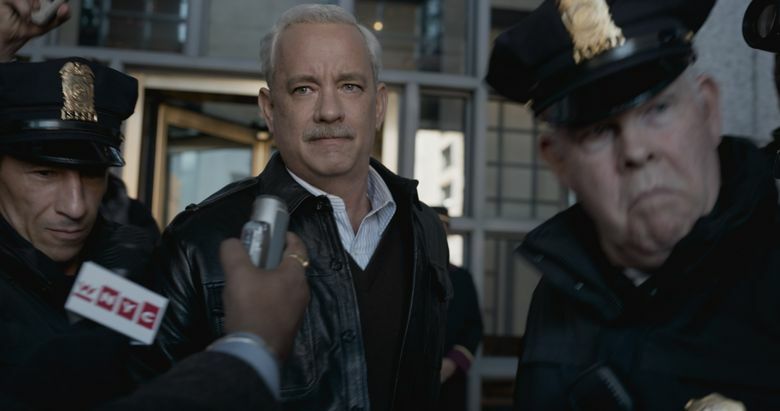 Movie review of “Sully”: Tom Hanks is the perfect choice to play Chesley “Sully” Sullenberger in Clint Eastwood’s film. Rating: 3.5 stars out of 4. A passenger plane, its engines disabled, lands in the icy Hudson River on a bitter winter morning in 2009 — and, thanks to its skilled pilot, a snowy-haired veteran with the enchanting name of Chesley “Sully” Sullenberger, every person on board survived. Sounds like a Hollywood movie, doesn’t it? You wonder why it took seven years for “Sully,” directed by Clint Eastwood, to make it to the screen; this remarkable feel-good story of the “Miracle on the Hudson” was popcorn-ready from the start. And if Tom Hanks hadn’t existed to play the title role, Eastwood would have had to invent him: This is one of those cases where movie-star persona and real-life legend blend perfectly. Even if we don’t know the real-life Sully, we imagine him as somewhat Tom Hanks-ish — a likable, old-school regular guy with a twinkle in his eye; someone who’d make sure that you got off the plane safely and then modestly deflect the credit, saying that everyone on that day was a hero. ‘Sully,’ with Tom Hanks, Aaron Eckhart, Laura Linney. Directed by Clint Eastwood, from a screenplay by Todd Komarnicki, based on the book “Highest Duty” by Chesley “Sully” Sullenberger and Jeffrey Zaslow. 91 minutes. Rated PG-13 for some peril and brief strong language. Several theaters. That’s what “Sully” the movie is up against: a story we already know, a hero we feel that we’ve already met, an ending that’s happily familiar. Eastwood and screenwriter Todd Komarnicki deftly create tension by twisting time around: The film begins with a post-miracle Sully, facing an investigation into the crash (“a forced water landing,” he corrects) and tormented by nightmares of what could have happened. Gradually, the story moves both forward and backward, finally taking us to the events of that morning — enacted so smoothly that you may find, as I did, that you’re gripping your armrests, worried about the plane sinking into that frigid water with those 155 souls aboard. Though the movie’s surprisingly brief (as was that flight), “Sully” occasionally feels a bit overstuffed; most notably in a lumpy section near the end in which computer simulations of the landing are shown to us a few too many times. 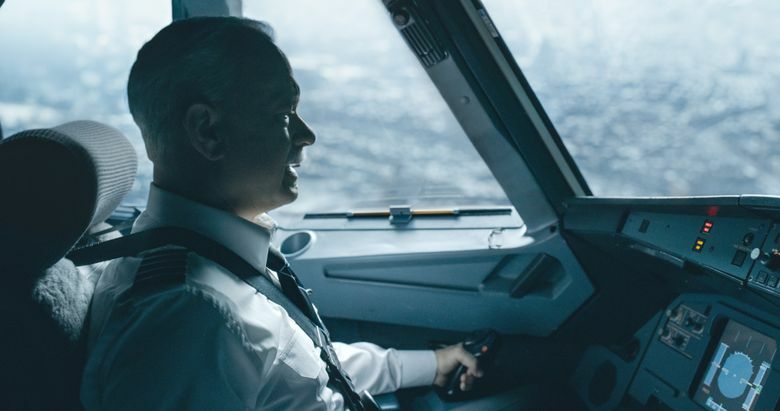 But it doesn’t matter — what lingers with this movie is the heartwarming sense of people (most notably, the flight crew and the many rescuers) doing their jobs and doing them well, and of the quiet, controlled exhilaration Hanks lets us see when Sully finally learns, hours after the landing, that everyone aboard has been accounted for. Stick around for the end credits to see the real-life survivors and Sully himself, reunited. He doesn’t look much like Hanks, and it doesn’t matter a bit; that twinkle is the same.